Tokyo is known for historic sites, parks, shopping, museums, and nightlife. Your plan includes some of its best attractions: make a trip to Meiji Jingu, get to know the fascinating history of Imperial Palace, see the interesting displays at Edo-Tokyo Museum, and explore the world behind art at Tokyo National Museum. For photos, where to stay, ratings, and other tourist information, read our Tokyo itinerary builder . San Francisco, USA to Tokyo is an approximately 14-hour flight. You can also do a combination of train and flight. The time zone difference when traveling from San Francisco to Tokyo is 17 hours. Traveling from San Francisco in June, expect Tokyo to be somewhat warmer, temps between 79°F and 67°F. Wrap up your sightseeing by early afternoon on the 5th (Tue) to allow time for travel to Hiroshima. 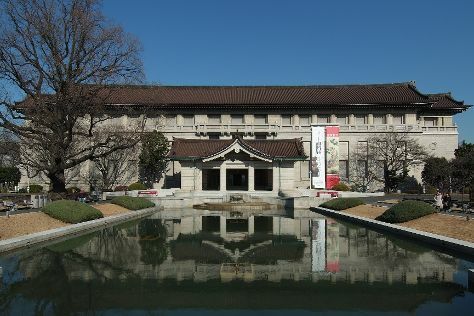 Start off your visit on the 6th (Wed): step into the grandiose world of Hiroshima Castle, pause for some photo ops at Atomic Bomb Dome, then make a trip to Hiroshima Peace Memorial Park, and finally see the interesting displays at Hiroshima Peace Memorial Museum. To see reviews, traveler tips, maps, and more tourist information, read our Hiroshima route maker . You can do a combination of flight, taxi, and train from Tokyo to Hiroshima in 4.5 hours. Other options are to take a train; or drive. June in Hiroshima sees daily highs of 79°F and lows of 68°F at night. Wrap up your sightseeing on the 7th (Thu) early enough to take a train to Kyoto. Kyoto is known for historic sites, parks, classes, museums, and zoos & aquariums. Your plan includes some of its best attractions: get great views at Kiyomizu-dera, take in nature's colorful creations at Shosei-en Garden, contemplate the long history of Sanjusangendo Temple, and take in the spiritual surroundings of Kinkaku-ji. To find ratings, maps, and other tourist information, you can read our Kyoto online travel planner . You can take a train from Hiroshima to Kyoto in 2 hours. Other options are to drive; or do a combination of ferry, flight, and train. June in Kyoto sees daily highs of 81°F and lows of 67°F at night. Cap off your sightseeing on the 9th (Sat) early enough to travel back home.